I spent the beginning of the year on a short vacation in Austin, TX. I’d never been but it’d had been a city on my list to visit for years. 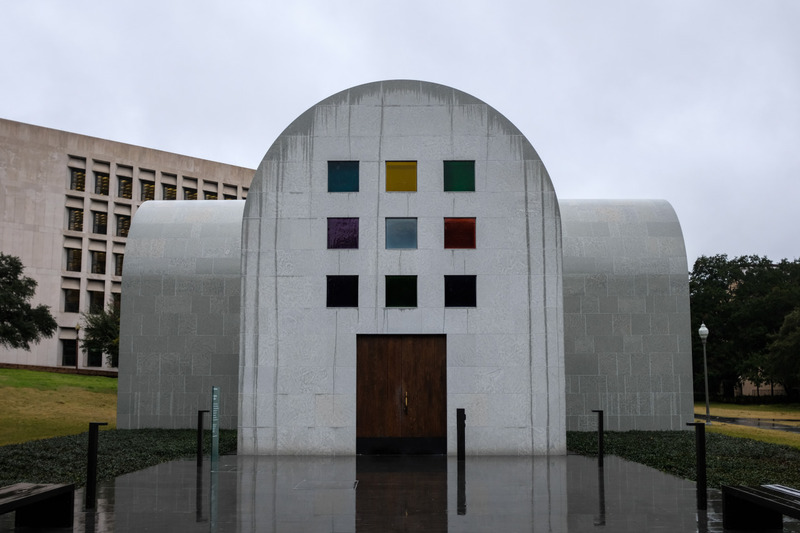 In between breakfast tacos and barbecue, I was most excited to see Ellsworth Kelly’s Austin, a standalone structure — a temple of light — at Austin’s Blanton Museum. 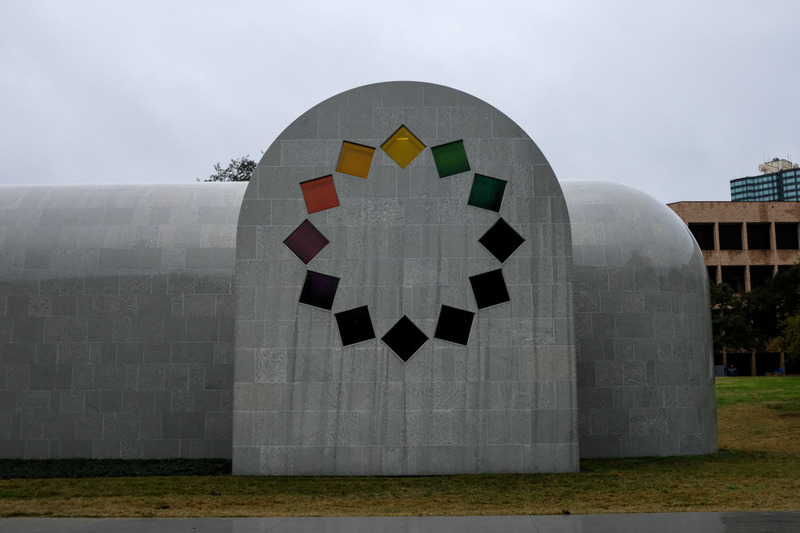 Kelly, known for his color field paintings and plant drawings, designed this structure nearly thirty years ago and expected it to never be built. 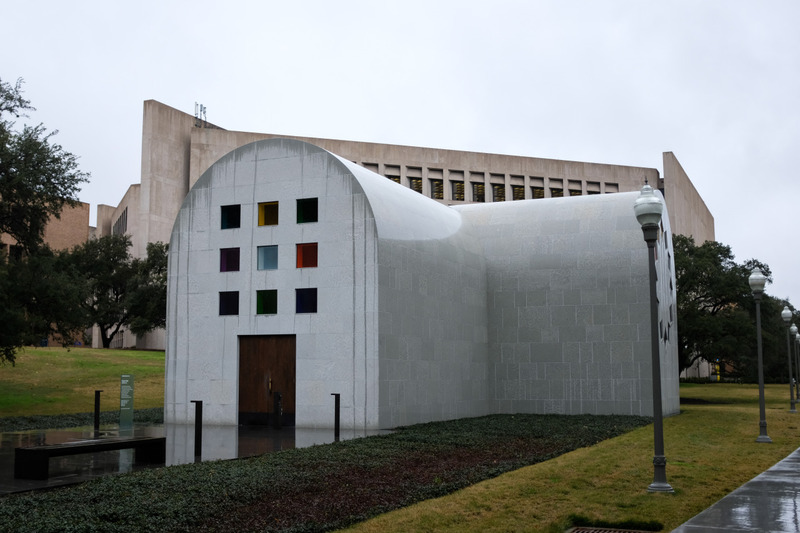 Thanks to generous donations and the Blanton’s organization, construction began a few months before Kelly died, in 2015, at 92. M.h. Miller wrote about its history for The New York Times earlier this year, after it opened. 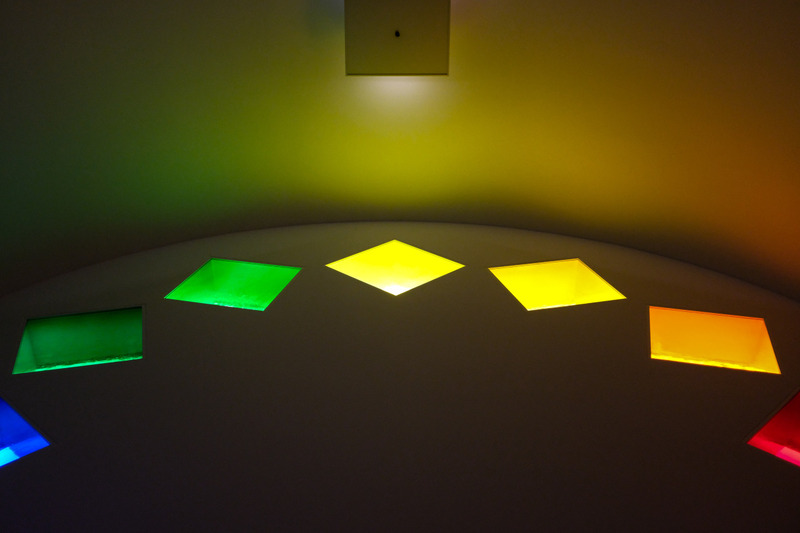 We visited on a rainy Wednesday, when the museum was largely quiet, and got to experience the work in solitude. 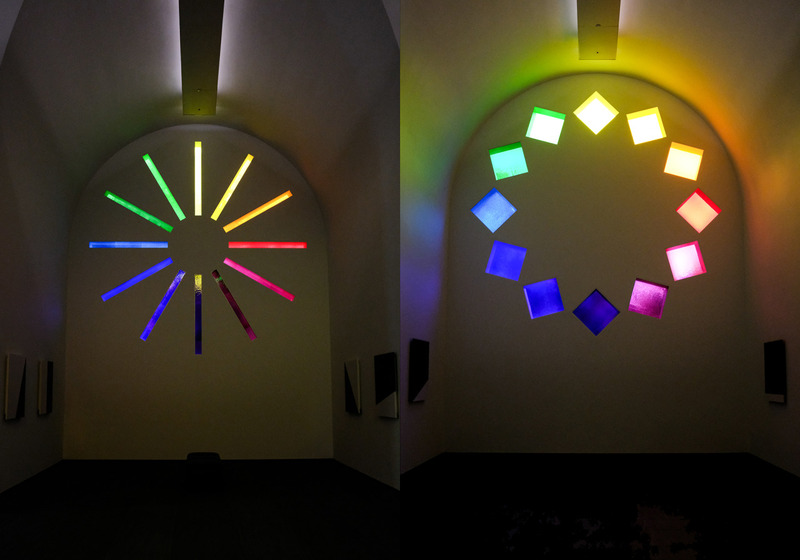 The color windows cast a rainbow across the space; the rain quietly beating outside: it was, unsurprisingly, a moving experience and the highlight of my trip.